The Season of warmth, family and quiet festivity has started. 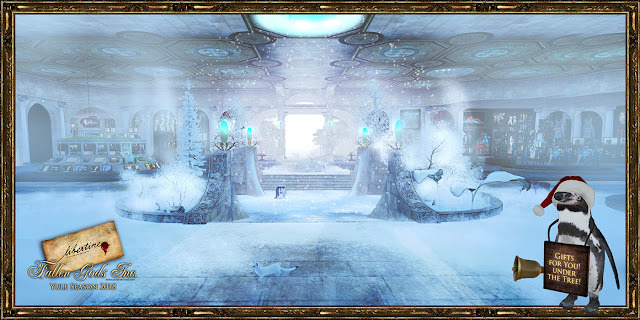 Yule has come to the Temple in silence on the first of December: first, the Pool iced bringing all the animal families and snow, then penguin helpers kept zooming allover moving boxes of ornaments and setting up tables with hot drinks, tasty treats, and surprises. In the end, the Tree was brought and gifts started to appear, and they will keep appearing until Christmas Day so be sure to keep checking if new ones arrived. 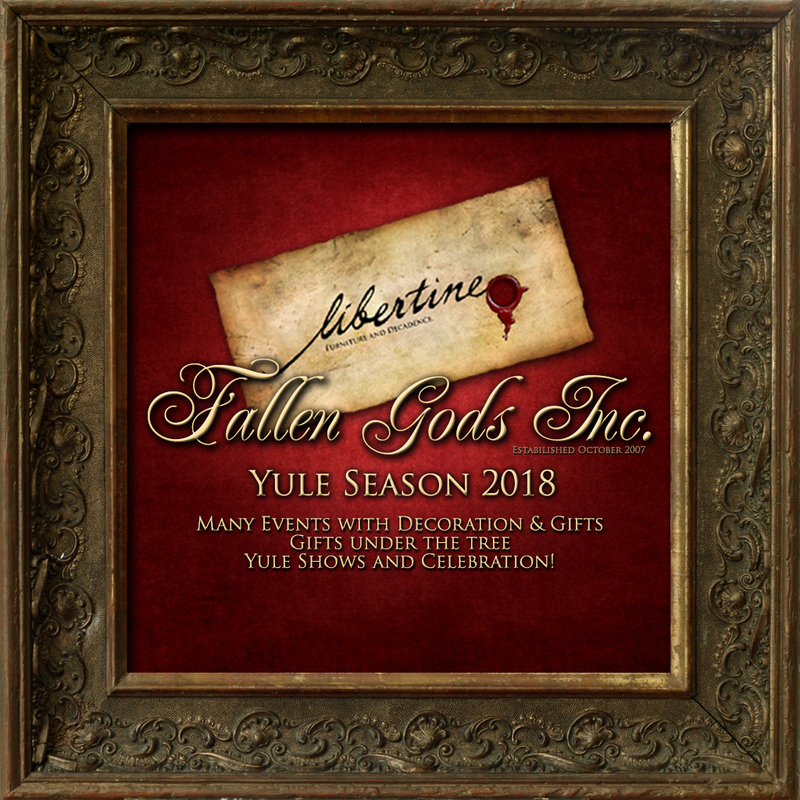 Group notices will be sent during the Season on a weekly basis with updates on new gifts, events and locations with Friendly Trees, a handy schedule is also present at info arches, near the Tree and on this post and as usual helpful Fallens are in the group to give you a helping hoove. Every Year I and some friends decide to exchange gifts under each other's Tree. There is no deadline for that and we try to use this as a way to catch up and give our best wishes to each other. Gifts appear slowly under trees and are simple tokens of gratitude towards what good comes in our lives, giving back and forward so we can receive, in any form. 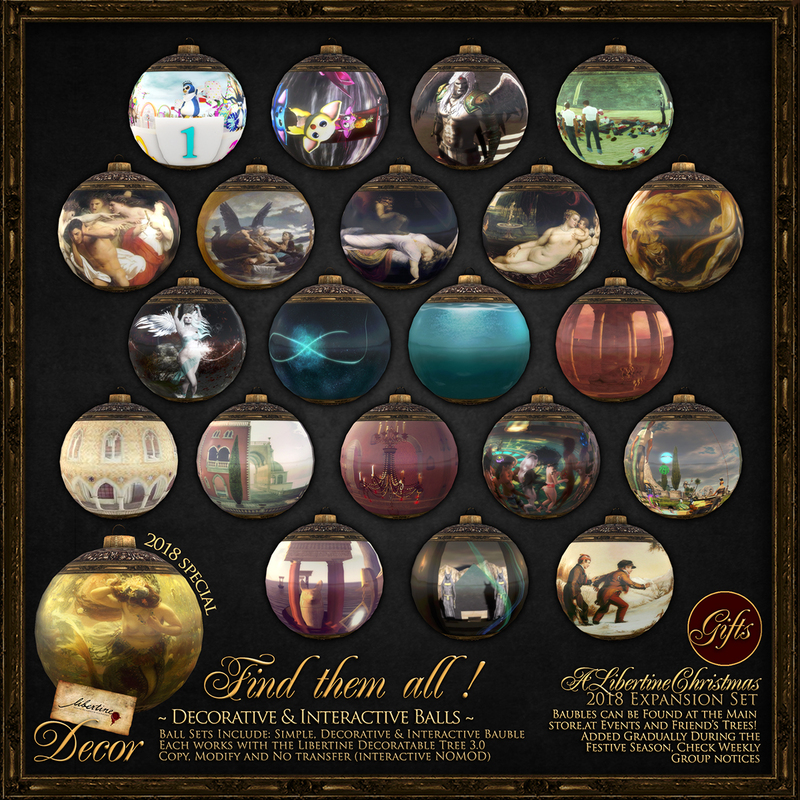 There are a few gifts that are the same in each location, but a few change and those are Libertine Baubles and a few set of Fallen Gods Inc. Tattoos. 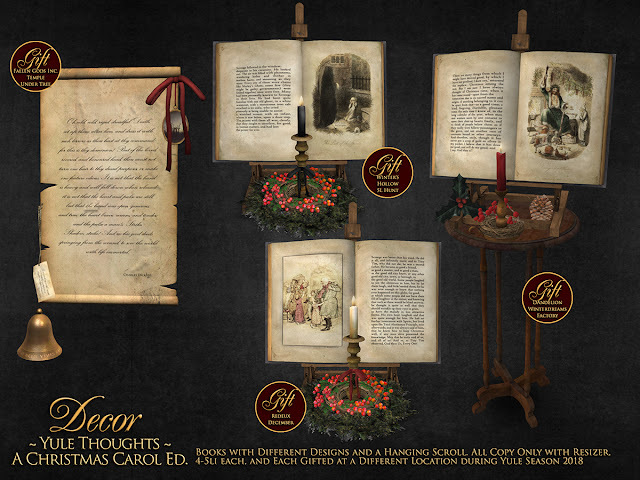 An additional set of gifts is this year's Yule Thoughts that also can be found in different locations, see previews below. Fallen Gods Inc. & Libertine participate in a series of special events that also have Gifts and new releases. Single notices are going to be posted about each, but here's a fast list of all the events that are or will be featuring the brands. 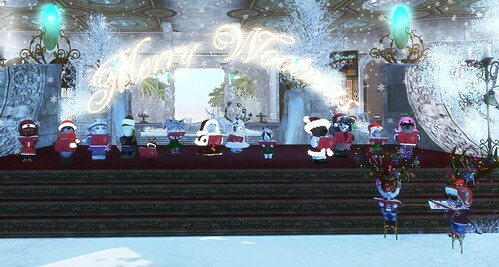 By tradition, the Temple hosts the best Carolers on the grid: Tinies from Raglanshire, and this year we are honored to have them perform twice! New Skin sets will be released on the 5th of January and will be available for the Group only until the 10th. 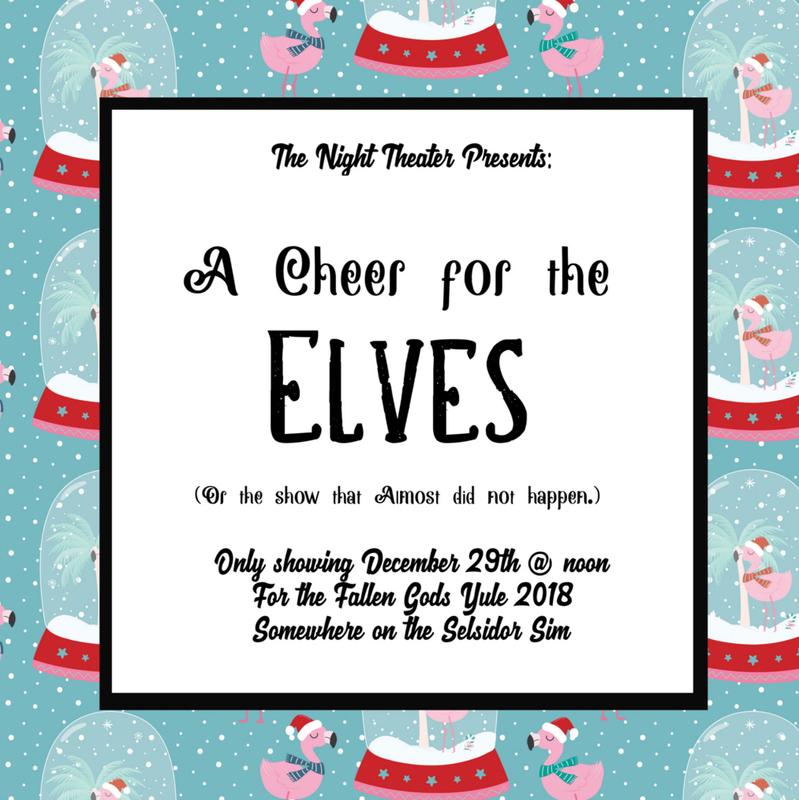 One set will be discounted 100% and one 50%, for the duration of the promotion the group will be CLOSED to Join. You won't be able to join the Group until January 10th, so be sure to not leave the group before the promotion starts on the 5th.